On Tuesday, the Illinois Coalition for Immigrant and Refugee Rights (ICIRR) held a media round table discussion on the key components of the Affordable Care Act (ACA), which was introduced and signed into law in 2010. Although ACA has received its share of controversy and confusion, ICIRR states its main goal is to make sure all health care providers, organizations, and individuals remain on the same page as to what is to be expected when ACA goes into effect in 2014. “It’s very detailed and can be quite overwhelming at times,” said Immigrant Family Resource Director for ICIRR, Luvia Quinones. “So the purpose of the round table was to get the message out there for people to become aware of how ACA will affect their lives.” Quinones outlined some of the key features of ACA and how it will affect the immigrant community. One of the key ways the ACA will help individuals is that the ACA is creating the state insurance exchange, which will go into effect in 2014. How I like to describe this aspect of the ACA is by referring to it as the ‘supermarket.’ Everybody will be able to compare apples to apples and really know what the best policy is for that person out there. The other thing ACA did is regulate health insurance. So it regulates anything from the cost, to preventing insurance companies from denying coverage of a pre-existing condition, which for children went into effect in 2010, but for adults it will go into effect in 2014. It also eliminates a lot of the gender differences. Even now, just for being a woman, you will be charged a lot more than a man. For example, here in Illinois, women approximately, not often, women have been paying a higher percentage than men for the same type of health insurance. Women will no longer be discriminated against by insurance companies. As well as moving forward 2014, plans sold through health insurance exchange are going to be required to offer basic benefits package, which include doctor’s visits, emergency services and hospitalizations, maternity and newborn care, which hasn’t been covered by health insurance, currently. Another key aspect of ACA is that it will provide states the opportunity to provide Medicaid expansion. Right now, in order to be eligible for Medicaid you have to fit the Federal Poverty Guidelines, but more specifically you need to be either caring of or a parent of a child. 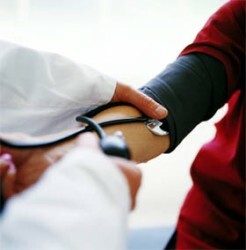 Starting in 2014, any individual under the age of 65 will be eligible for Medicaid if they fit the income requirement. Here in Illinois, Governor Pat Quinn has publicly said he supported Medicaid to include all those individuals, but there is legislation needed to enact that component. Insurance companies will be forced to put a percentage of the premiums paid to them into actual benefits for the individual. The ACA does not help nor does it hurt the undocumented community. Here in Illinois, the only thing that I can say is that for women who are part of the Moms and Babies program, which is a long-term health insurance plan that offers in-patient and out-patient services, will continue. However, for the most part the undocumented community or those who qualify for the Deferred Action Plan will not be eligible to buy health insurance. What we want to make clear is that undocumented individuals will be exempt from having to purchase health insurance, but they have to prove their undocumented status. We are still learning more details, but we will keep the community informed of what is going on with ACA. For more information, visit www.icirr.org.